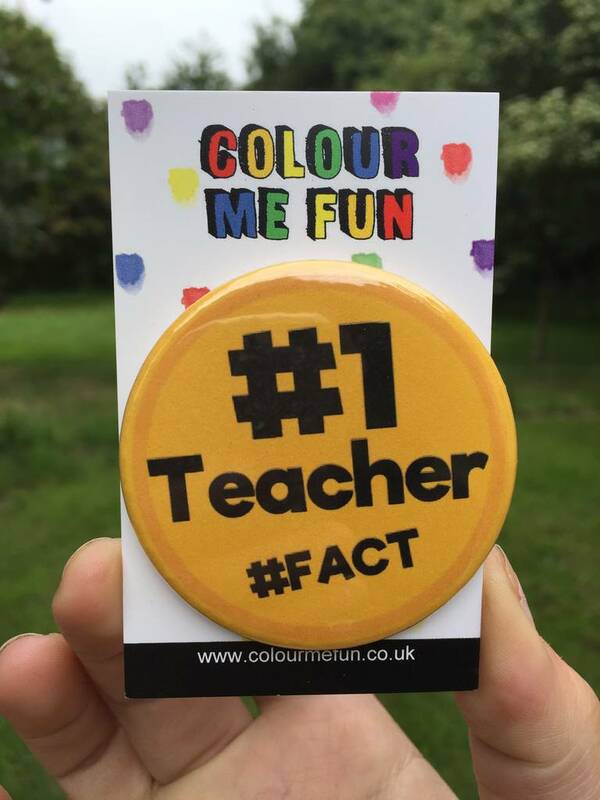 Say thank you to your 'Number 1 Teacher' with our lovely badge, it's a great little gift for teacher. Our great badge is a thoughtful 'thank you teacher' gift for any hard working teacher. Perfect teacher gift for children to give out at the end of term. Let your child show their teacher appreciation and give their teacher a gift which lets them know how special they are. 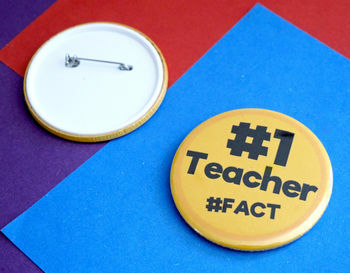 A fun teacher keepsake - each badge has a nice bold font, for all to see as the teacher proudly wears it. Each button badge is printed on high quality matt inkjet paper and then pressed into their badge fixings and covered with a shiny protective plastic surface. The reverse is made from a plastic disk and have metal pins. Each button badge is plastic backed, printed on high quality matt inkjet paper. The badge measures 58mm / 2 1/4"